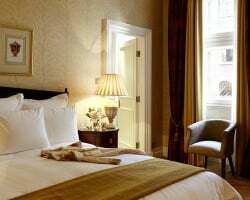 All London has to offer is yours with the elegant accommodations of the Grand Residences by Marriott Mayfair-London. Browse affordable timeshare resales and rentals at the resort today with SellMyTimeshareNow.com. Your very own townhouse in London has arrived with the accommodations at the Grand Residences by Marriott Mayfair-London. Located in the heart of the city, these elegant and well-appointed suites offer a one-of-a-kind vacation experience to its owners. With fractional timeshare ownership intervals providing you with a true place of your own in the city, you'll have all of London at your disposal from 47 Park Street. With exclusive dining access at nearby award-winning restaurants and impeccable 24-hour service, your stay in the city is guaranteed to be extremely comfortable and convenient. The accommodations at the Marriott Mayfair property exceed expectations. With one and two bedroom suites coming in a variety of floor plans and styles, couples and families alike will enjoy calling the establishment their home for the duration of their trip. Light a fire in your fireplace and cozy up with a good book, or have the hotel staff set up your dining room for a dinner party. 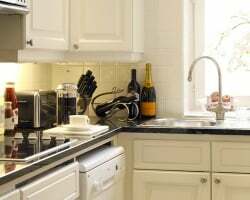 Prepare your own meals in your full kitchen or have the staff bring up a la carte dining options. 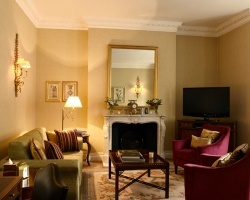 However you choose to enjoy your UK trip, you can do it from the opulence and comfort of the Grand Residence. Do you want to secure accommodations at this luxurious property? Timeshare resale and rental postings are available at the resort now. Fill out the form on this page to learn more, or call 1-877-815-4227 today. 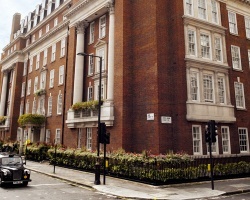 Purchasing a timeshare resale at the 47 Park Street Marriott in London will not only save you thousands of dollars—it can change the way you vacation forever. Available in floating weeks, the timeshare resale advertisements at the resort are often priced up to 70% lower than retail costs. With intervals spread throughout the entire calendar year, you'll have plenty of options and price points to match your vacation preferences. Additionally, with your timeshare resale, you could have access to the Marriott Vacation Club and take advantage of exclusive perks and bonuses. The 47 Park Street hotel is affiliated with Marriott Vacations Club, one of the world's most popular timeshare ownership brands. Marriott is widely regarded as one of the most resale-friendly timeshare brands in the industry, meaning you can start making reservations with your resale immediately. However, other opportunities to upgrade may further enhance your ownership experience. Upgrading to the Marriott Vacation Club Destinations program can unlock points-based ownership options and internal exchange with other Marriott resorts. Timeshares at the Marriott Mayfair-London typically come in the form of fractional ownership. Fractionals are a different take on the traditional timeshare, and offer accommodations to members for month-long stays or longer. Compared to 52 intervals at basic timeshare resorts, fractional resorts only offer 12, making ownership at the property much more exclusive. As a result, you get less of a vacation week and more of a home-away-from-home—many considering purchasing a second home in London choose to invest in a fractional at 47 Park Street instead. Continuing in its theme of complete luxury, the Marriott Residence London offers high-quality amenities to make your stay more comfortable. The resort offers thoughtful services such as valet parking and limousine, grocery stocking, 24-hour room service, an in-house florist, and much more. The Residences' a la carte menu options provide great in-room dining, while the exclusive access to the Michelin-starred Le Gavroche restaurant offers the chance to try once-in-a-lifetime cuisine. Nearby, all of London's best attractions are mere minutes away. Stop by can't-miss locales like the Tower of London, the London Eye, Westminster Abbey, and other. Branch out to other attractions like Hyde Park or Buckingham Palace for the full London experience. Already Own at 47 Park Street by Marriott?